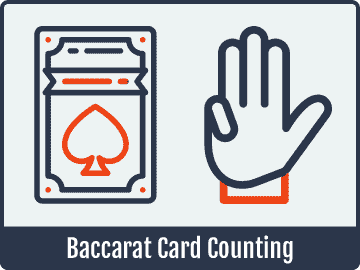 While Baccarat is a game that is primarily driven by luck, there are a number of things that you can do to maximize your chances of winning. 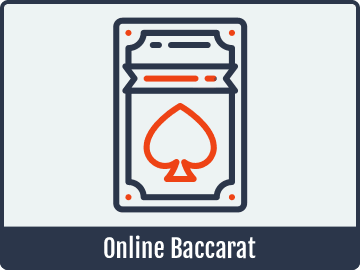 Once you know and understand the basic rules of Baccarat and how the game is played in general, you can start to get a little more advanced while looking at strategic ideas to maximize your payout rate. While each of these decisions might not change much individually, they can put a drastic dent in the house advantage when combined. 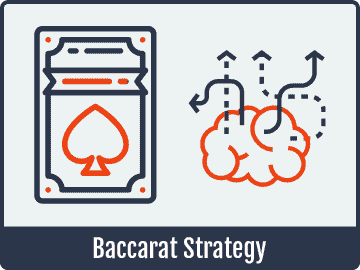 We’re going to walk you through everything you need to know about Baccarat strategy from the basics to some pretty advanced ideas. 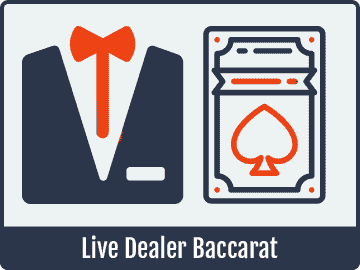 The absolute basic idea behind Baccarat strategy is to minimize the house edge as much as possible. A starting position for doing that is to always play the banker bet since it has the lowest house edge of any wager in the game. However, there’s a lot more to it than that if you really want to get down to as detailed of a level as you can. With that having been said, if you want to put no more than a couple of minutes into learning how to play this game fairly well, then a strategy that consists of always going with the banker bet is probably the way to go. But if you want more from your experience, and you’re the type of person who really cares about maximizing your chances of winning, then keep reading. As is the case in many types of casino games, a lot of your potential for implementing strategy comes down to game selection. Consider the strategy of only playing the banker bet. In an eight-deck game, the house edge is 1.0579 percent. In a six-deck game, it’s 1.0558 percent, which is a slight improvement, but not really anything to write home about. With that having been said, single-deck games allow you to get the house edge down to 1.0117 percent. While that doesn’t seem like much, it’s actually enough to drop the house advantage down 4.4 percent from the eight-deck figure. You can find single-deck tables at a number of online casinos, though you won’t normally find them in the live dealer sections of these sites. This is a really simple way to drop the house edge a bit without having to do a lot of work. Typically speaking, the commission on winning banker bets is 5 percent. This means that if you make a wager for $100 on the banker bet and win, you should get a profit of $95. The problem with this method for handling the commission is that different casinos round bets down to the nearest $0.25, something that the Realtime Gaming Baccarat games are known for doing in particular. Let’s illustrate why this is a problem. Suppose you wager $1 on a banker bet. Normally, winning would give you a profit of $0.95. However, if we’re rounding down to the nearest quarter, then your payout will only be $0.75. That’s a tremendous amount of value lost. Here’s how you can get around this problem. Multiply the denomination used for the rounding. In this case, that would be rounding down to the nearest $0.25. Multiply that denomination by a factor of 20, and you’ll have the optimal bet size for your wagers to avoid losing value from commission rounding. In this case, $0.25 * 20 gives us $5, so as long as we bet in multiples of $5, we’ll be in good shape. However, if we really want to bet $1 in these particular games for some reason, we need to realize that we’re actually better off taking the player bet. This leads us into our next strategic concept, which is what should drive our plans and outlook for maximizing our value in every single type of Baccarat, no matter the variation. We should always play the banker bet as a default, except when we switch from it because of conditions that cause the player bet to be the better option. If we look at the commission situation above, we see this theorem in action. We start with the banker bet as our default wager, and we only switch to the player bet when we have an outstanding reason to do so. We will never play the tie or pair bets under any circumstances. The simple fact of the matter is that there are no circumstances where the pair or tie wagers will be better than the player or banker bets. The house edge of those wagers is simply too high for it to happen. 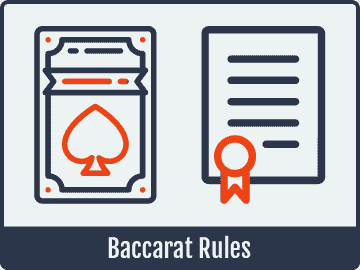 Finally, we’re going to take a look at what’s probably the most popular strategic concept for Baccarat. At the same time, it’s also the biggest misconception about strategy in the game in general. What we’re talking about here is hand tracking. The basic idea of hand tracking is that you use a piece of paper and a pencil, or an automatic hand tracker built into the software you play on, to try to find trends in whether the banker or player bet will win. It adds a degree of fun for most players, and there’s no real denying that. However, it’s also completely useless in terms of boosting your house edge, and all it will do is cause you to violate the Fundamental Theorem needlessly. Here’s how it works: Suppose that you convince yourself, through these meaningless patterns you’ve tracked over the past 20 hands, that there’s a better chance of the player hand winning than the banker hand. That could have you to switch from the banker to player wager without it actually being called for in reality, which is a violation of the Fundamental Theorem. The thing you have to understand is that the deck or shoe of cards doesn’t always come out even in terms of which hands are going to win. You don’t know that there are going to be X times the banker wins, Y times the player wins and Z times they’ll tie in each deck or shoe. That’s why hand tracking doesn’t work, and that’s why it can only hurt you over the long run. This is different than the concept of card counting, however, which we will discuss in another section of this site. The bottom line is that there are a number of small things you can do to keep the house advantage down as low as possible. While they might not seem like anything major on their own, a small amount of strategy will mean that you’ll have a house edge of just over 1 percent in this game. That’s better than what most players can achieve in games that are more known for their strategic aspects like blackjack and video poker, so it’s definitely not something to underestimate the effectiveness of.